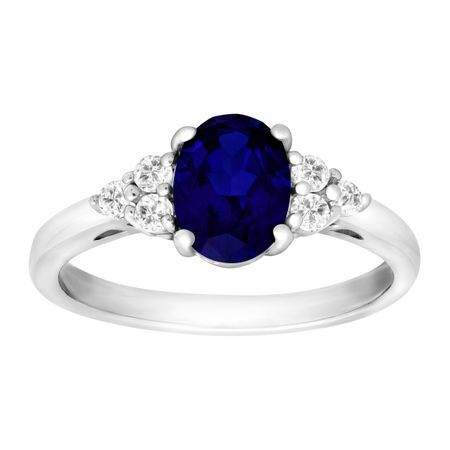 The September birthstone sapphire is known to bring wisdom, making this piece a wise present for your friends and family. The ring features a 1 5/8 ct created sapphire surrounded by clusters of natural white topaz totaling 1/4 ct in sterling silver. Ring face measures 9/16 by 5/16 inches.